Council tax bills being issued next week will be up by three per cent in a bid to make a contribution to the Comhairle’s £6.5 million budget shortfall. 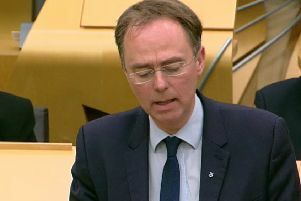 It will be the first increases since 2007 following the reform of council tax bands by the Scottish Government and the decision of the Comhairle to raise an additional three per cent. This three per cent increase will contribute an estimated £380,000 towards the Comhairle’s budget for 2017/18 and is part of a range of measures to reduce a £6.1m funding gap to £2.5m. Additionally, from April 1, 2017, the way council tax is charged on properties in bands E,F,G and H is changing as a result of legislation introduced by the Scottish Government. These changes will increase the income the Comhairle receives from council tax by a further £160,000 as a consequence of the increases in the amounts levied in these bands. These vary by band and the Comhairle has no discretion to vary the increases which are as follows: Band E +7.5 per cent; Band F +12.5 per cent; Band G +17.5 per cent and Band H +22.5 per cent. The majority of houses in the Islands are valued between Bands A to D.
Households with an annual income of up to £25,000 (£16,750 for a single household) can apply for a full exemption of the increased charge and the Comhairle would encourage those who are eligible to contact staff in the Revenues and Benefits team.